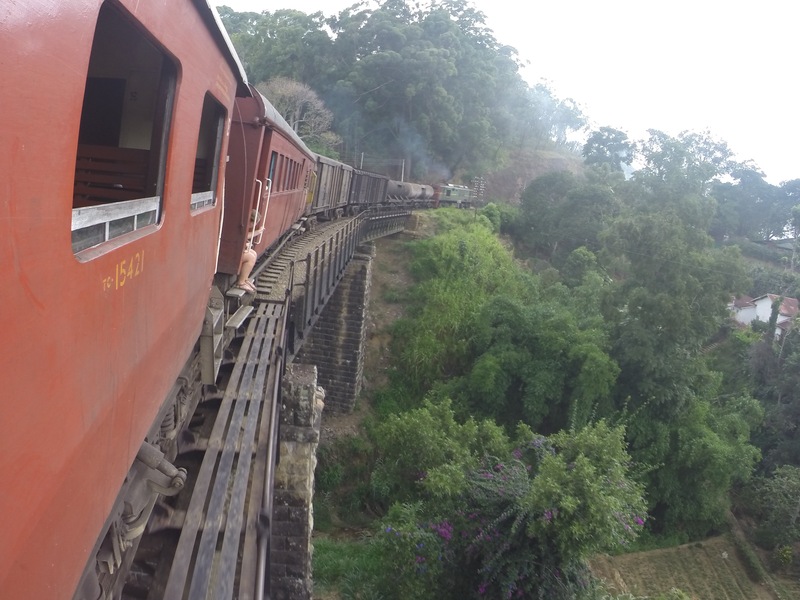 The British Colonial government built the railway in 1864 to transport tea and coffee from the mountains to Colombo, the country’s capital. 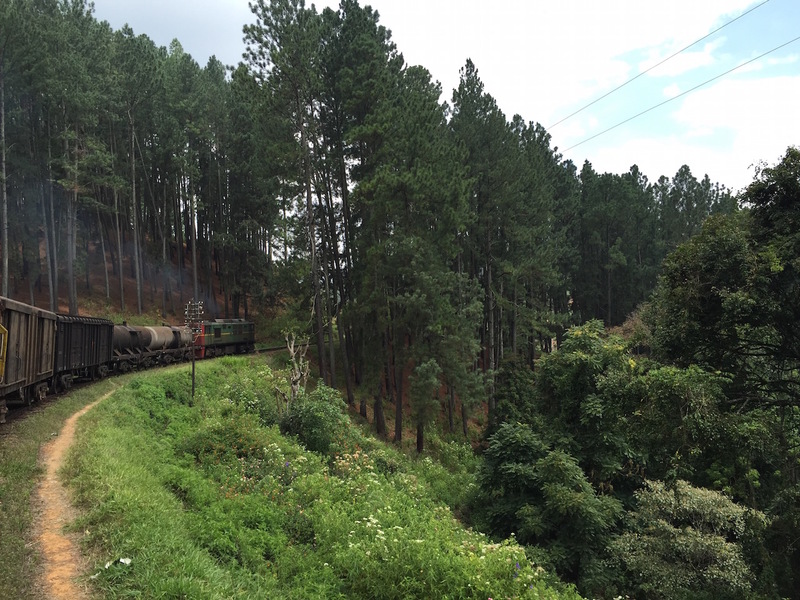 For over 100 years the railways were used for the transportation of people and goods. It was expanded and upgraded. But toward the mid twentieth century, as the country’s roadways improved and plantation agriculture declined, the railways suffered decades of neglect. In 2010 the government initiated a strategy to bring the railways back to life. The trains now offer tourists and light cargo transport all over the country. 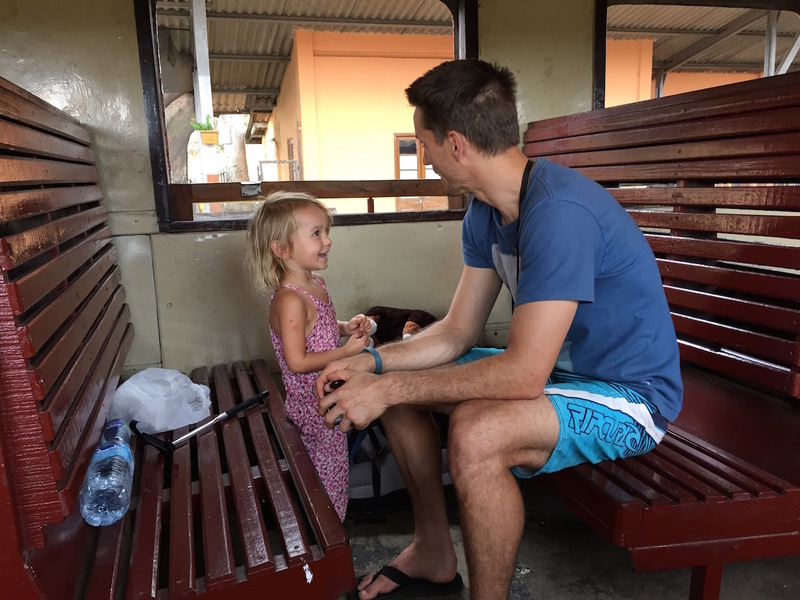 Tourists and locals have options to ride in either first class, reservation-only, trains or less expensive unreserved cargo trains. 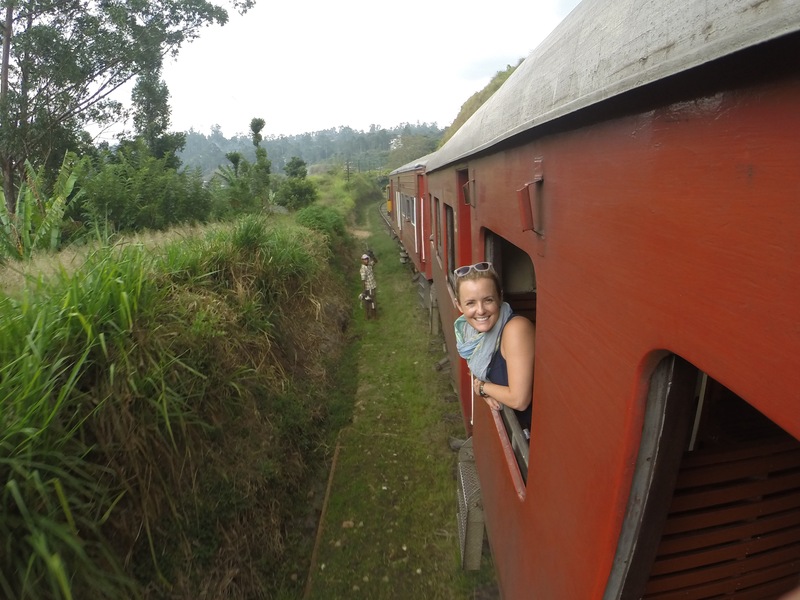 We were very lucky to get on the no-bathroom, un airconditioned open air cargo train. I know I have seen a period movie with women in colonial dresses sitting in these exact seats! 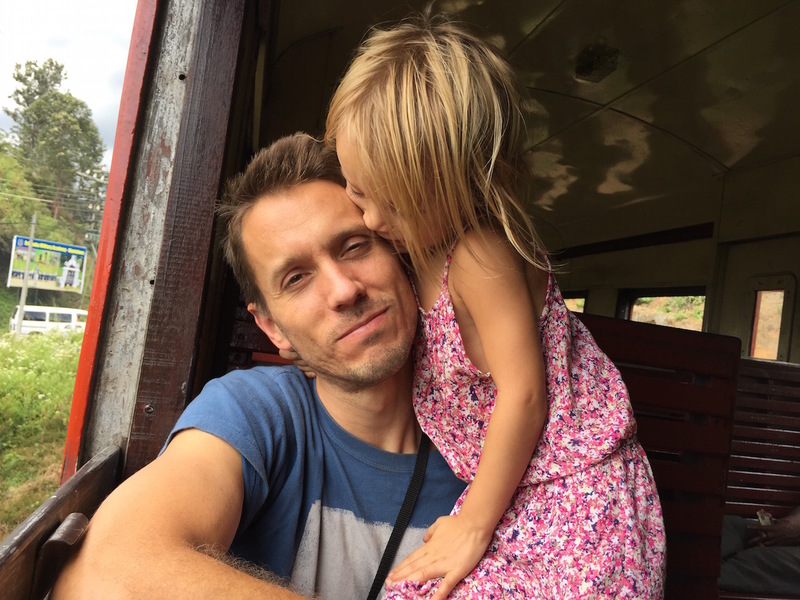 As you can imagine, the time we spent on this train was like a childhood game of “lets pretend” coming to life. 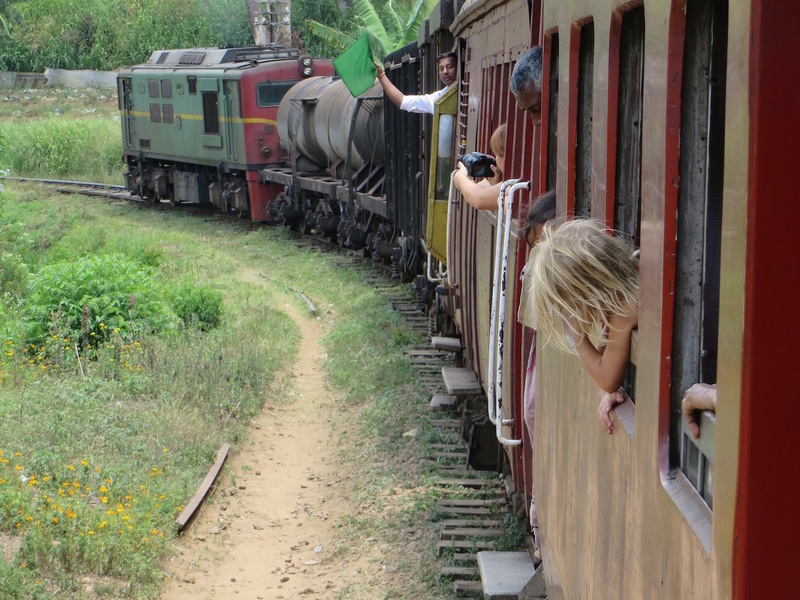 Something else I found very interesting about the Sri Lanka railways is that they still use a token system for railway signaling.The driver must have the token before entering a section of single track. It’s used to avoid collision. Only if a driver is in possession of the token can he enter that section of single track. It’s fun to watch the drivers exchange the tokens at the stations. Check out the clip below to watch the exchange. 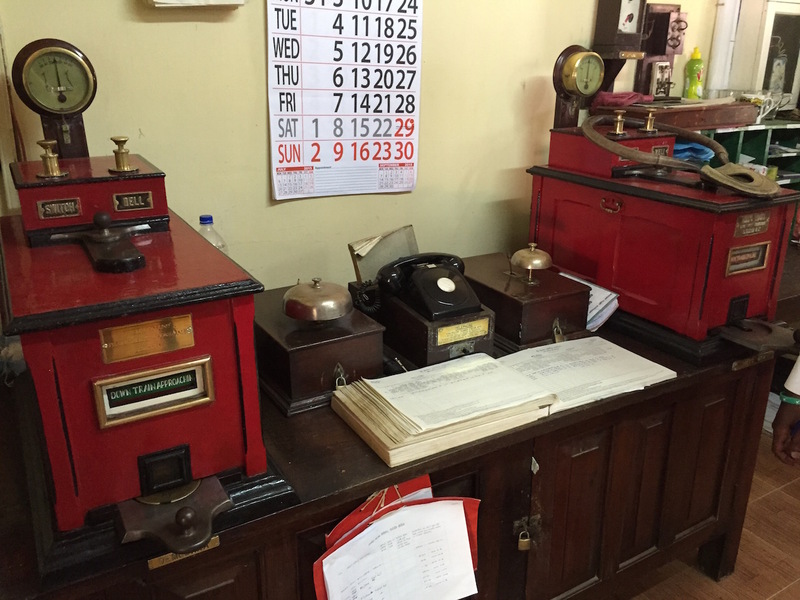 We peeked inside the office and took a few shots of the 100+ year old British System the railway is still using to communicate and log train travel. Some fantastic bridges added a little excitement to the journey! 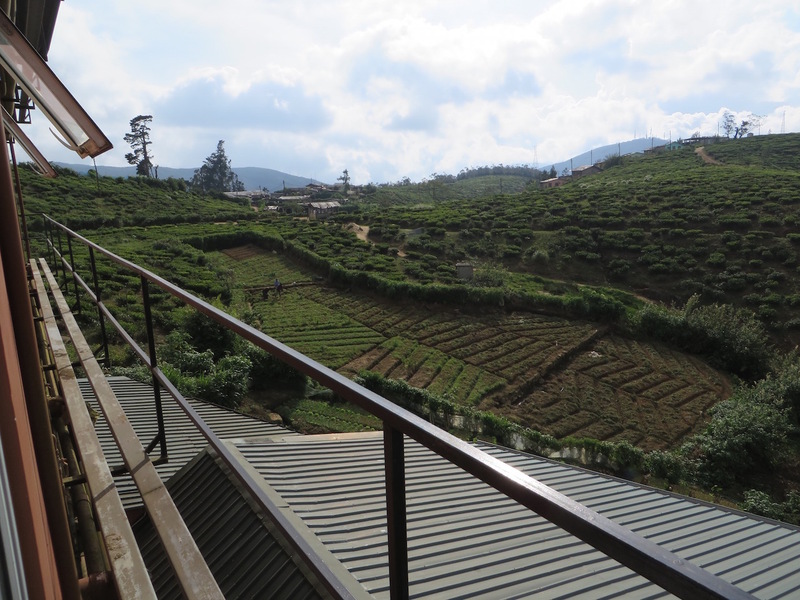 We passed miles and miles of tea plantations. Here is a close up shot of the tea agriculture. As we traveled through the high country there were pockets of hauntingly beautiful pine forests. While they are absolutely stunning, they don’t exactly fit in. We discovered that the pine trees are not a native species and are used to restore deteriorated land. Pine trees grow fast and also provide an alternative means for the country’s timber needs. For those of you that know us personally, you are likely familiar with my husband’s love of sweets. He and Sage were delighted to find out that this train stop doubled as drive thru ice cream. 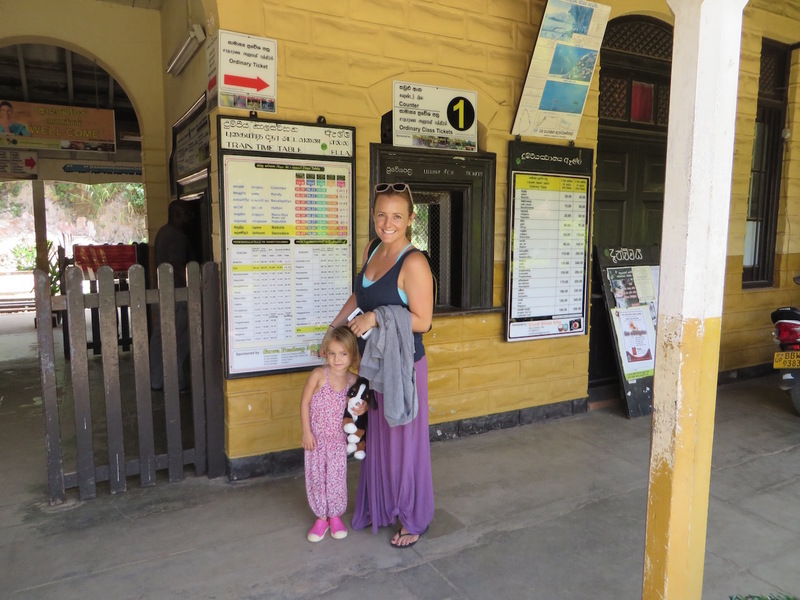 This entry was posted in Asia, Destinations, Sri Lanka and tagged Sri Lanka, Token system, Trains, travel with toddlers. Bookmark the permalink. 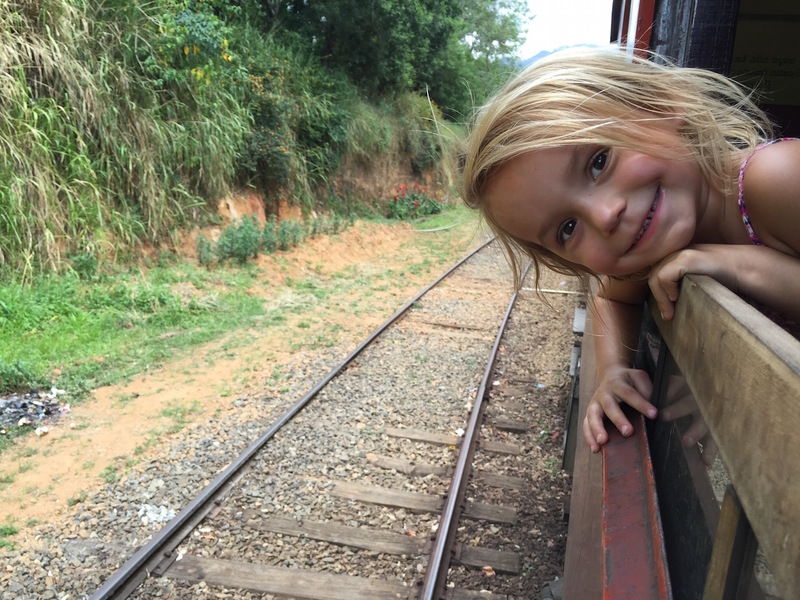 4 Responses to Sri Lanka: Time Travel on a Train. 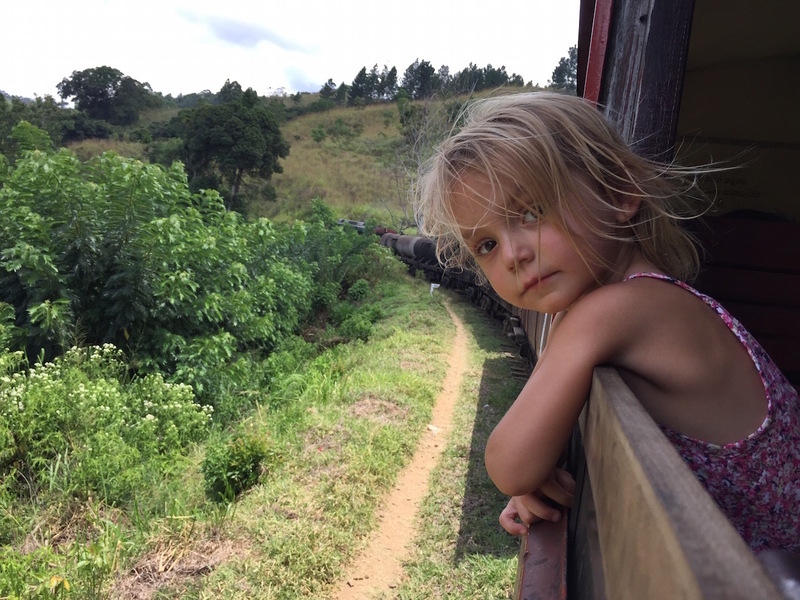 Right away, I thought of Agatha Christie books when seeing the old wooden benches – this is such a cool experience for all of you – your daughter is super lucky to have 2 adventurous parents so she can see the world! Love this and miss you guys! I’m so excited for all of the fun, discovery, and adventures you guys will encounter in your travels. What a great way for Sage to learn and grow! And fun to read about, too! Lizzie always a pleasure to read your posts. Sage will have seen the whole world by the time she’s eight. Don c.